WELCOME TO THE NEW HOME OF THE MARYLAND INTERSCHOLASTIC ATHLETIC ASSOCIATION (MIAA). The MIAA is an independent organization comprised of 29 private high schools located in and around the Baltimore Metro area. Founded in 1994, MIAA schools have a combined enrollment in excess of 17,000 students. More than 60% of these students participate in at least one of 17 MIAA sanctioned Sports. In addition, more than 97% of all graduates from MIAA schools go on to college, including many who enroll in some of our nation’s most prestigious universities. The Association has a long history of athletic prowess. It boasts what is widely recognized as the best high school lacrosse league in the world, underscored by the immense impact of its former players, as both players and coaches, on nearly every level of collegiate and professional lacrosse. MIAA grads are flourishing on many the Division I level of every major NCAA sports, as well as the Division I and II levels. Former MIAA stars are also active in Major League Baseball, the NBA, the NFL, and various professional soccere leagues. 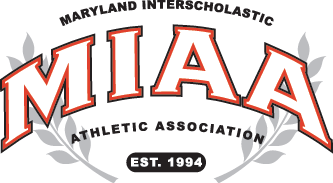 The MIAA was formed after the Baltimore City Schools withdrew from the historic Maryland Scholastic Association (MSA) in order to join the other public schools in the state which are under the umbrella of the Maryland Public Secondary Schools Athletic Association (MPSSAA), in the early 1990’s. A committee headed by then Archbishop Curley High School principal Father Robert Twele, OFM Conv. drew up a new constitution and by-laws for the remaining private and parochial schools. The MIAA played its first official schedule in the Fall of 1995. In 2003, St. John’s Catholic Prep (formerly St. John’s Prospect Hall) of Frederick and The Key School of Annapolis joined the Association, followed by Indian Creek School of Annapolis in 2007. In 2011 Gerstell Academy, the MIAA’s first school in Carroll County, and Cristo Rey Jesuit Academy of Baltimore, joined the Association. Finally, Jemicy School was added prior to the 2014-15 academic year to complete the MIAA’s current roster of 29 schools. Past members of the MIAA also included Arlington Baptist School, which left the Association in 2005, and Towson Catholic High School and Cardinal Gibbons School, which unfortunately closed their doors in 2009 and 2010, respectively. Georgetown Prep of Bethesda also spent several seasons as a MIAA football affiliate before departing following the 2011 season. MIAA Schools are located in eight Maryland counties and Baltimore City. The MIAA believes good sportsmanship is an integral component of interscholastic competition. We wholeheartedly embrace the position that, in order for sportsmanship to prevail, coaches, student-athletes, and fans must display respect, fairnes, civility, honesty, and responsibility before, during and after all athletic contests. We encourage fans to enthusiastically support their team, recognize the outstanding performance of opponents, and always exhibit good sportsmanship in their words and actions. The MIAA encourages and promotes sportsmanship by student-athletes, coaches and spectators. Offensive language including profanity, racial or ethnic slurs or other intimidating actions directed at officials, event staff, student-athletes, coaches or team representatives will not be tolerated.